An important discussion at the 14th Annenberg Oxford Media Policy Summer institute held at University of Oxford, conducted by Prof Jean Chalaby from City University London, was on transnational media order and the role of migrant television. The transnationalization of global media is a series of paradigm shifts in the advancement of international communications through expansion of wireless communication and broadcasting technologies. The invention of satellite communication systems and fiber optic cables revolutionized the commercialization of television and global media. Broadcast networks were the early adopters of satellite communication as a distribution method and, around 1989, CNN emerged as the world’s first global satellite TV channel reaching all the corners of the globe. This new global media network was also used in shaping public acceptance of U.S. foreign policy during the build up to the first Persian Gulf War. The coverage of the Gulf War was the start of the transnationalization of media in a global context. The live coverage of hours of televised bombardments, scud missile attacks, and laser-guided missiles swooping down from invincible aircraft in the best Hollywood style showed a cinematic extravaganza somewhere between Star Wars and Lawrence of Arabia. This was also the first time when people around the world had real access to live information on war events as it unfolded. During that time, in Pakistan, people only had access to state controlled PTV (Pakistan Television Corporation); with the coming of free to air satellite channels, especially CNN, more and more people wanted to tune in to the Hollywood style broadcasting of war events and it was bonanza time for satellite dish business in the country. By the closing of the 20th century, a transnational borderless media system had developed, driven by a series of economic reforms that included the liberalization of the broadcasting industry, a worldwide amalgamation of the media industry, and the opening of the industry to cable television. This all led to an explosion in the Pakistani cable TV industry and the entry of many foreign and local players like Rupert Murdoch’s Star TV Network, MTV, Zee TV, Geo TV and others. Transnational TV channels multiplied and matured in diversity over the past decade to include some of the most innovative and influential channels of our times, like Al-Jazeera, CNN, BBC, Geo TV and Star TV Network. Many of them are at the heart of the transformation of regional media cultures, most noticeably in the Middle East, South Asia and even Africa, but also in Europe (Chalaby, 2005). The local media industry in Pakistan, hampered by a lack of capital, talent, and up-to-date facilities faced an uphill battle against the well established transnational competitors, especially against Star TV and Zee TV networks with a global reach and audience. The broadcasting of popular Indian television channels such as Zee Network and Star TV on cable TV in Pakistan was sharply contested by the local broadcasters under the pretext of national identity and cultural protectionism. 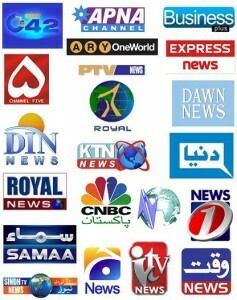 The local satellite television broadcaster started lobbying against the broadcasting of Indian media content on cable TV networks in Pakistan, also raising the need for regulatory intervention in the placement of local channels on cable TV networks, allowing them to compete against the transnational media flowing across the border. The avalanche of transnational media in Pakistan also affected the free to air advertising revenues based business model of the local media channels, as their advertising revenues started to decline whenever transnational Indian media content was allowed on the networks. Most of the major regional corporation’s preferred advertising during the popular transnational Indian soaps; this severely affected the local broadcasters’ ratings and revenues. Local media protection against transnational media remains an enduring subject in policy discourse, especially in developing countries like Pakistan and others in South Asia that are experiencing an asymmetrical cultural flow through means of very popular transnational content. In this age of digital communication, Pakistan still resorts to legal, administrative, economic and violent means for restricting transnational media for cultural and corporate protectionism. The popular broadcasting and unpopular blockage of transnational Indian satellite channels on cable TV networks in Pakistan is becoming a hot topic of policy debates, as consumers want access to transnational media content, whereas the government cultural and local industry still consider protectionism an important factor. In a dynamic process of change, it is the interaction of many factors that brings about endless possibilities either facilitating the transnationalization of national or local cultural industries or impeding further growth of global media. The current opinionated policy approach is without a doubt failing the development and competition in quality and diversity of media growth in Pakistan. Chalaby, J. (ed.) (2005) Transnational Television Worldwide: Towards a New Media Order. London: I.B. Tauris.